Dr. Jon Frey is a classical archaeologist whose research focuses on the architectural history of later Roman Greece, a time and place that witnessed significant religious, economic, and social changes commonly associated with the “fall of the Roman Empire.” His study of spolia – parts of classical buildings reused in subsequent construction – not only calls into question long-held notions of civic collapse, but also suggests that intensive architectural survey can reveal important insights into the actions of builders who go unnoticed in the writings of the time. This interest in exploring and sharing the hidden details of the ancient world also is seen in his effort to create digital tools for the study and publication of archaeological evidence. Since 2009, he has directed a project to create the Archaeological Resource Cataloging System (ARCS), an open-source software solution for public dissemination of digitized documents from archaeological archives. As field coordinator at The Ohio State University Excavations at Isthmia, he currently is leading an effort to generate a three-dimensional site plan utilizing aerial “drone” imagery, GPS data, and numbers of more traditional hand-drawn maps and plans. 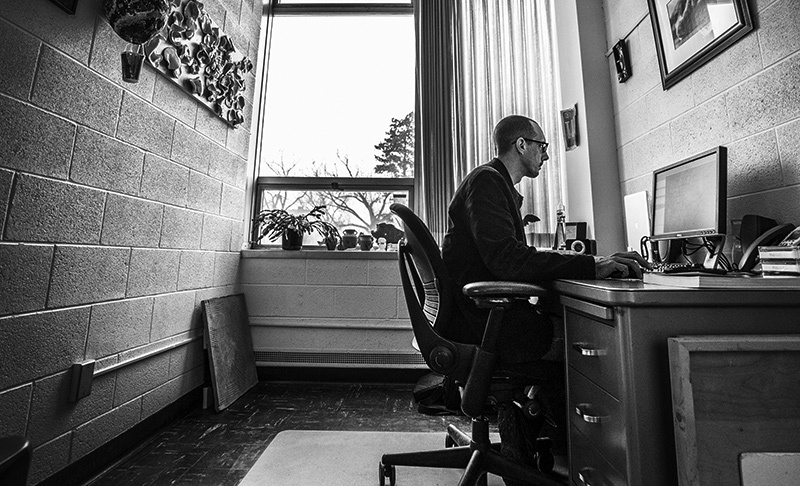 Because he seeks to include his students in all aspects of his work, he frequently collaborates with undergraduate and graduate researchers in his fieldwork and digital projects. Each summer, he leads a study abroad program to Greece where students engage in hands-on learning about the sites, monuments, and continuing legacy of the classical past. Yet, even during the regular academic year, he is engaged in an effort to utilize new technologies like immersive visualization and augmented reality to recreate the experience of being in Greece in the classroom setting.